Community management is a marketing tactic that aligns closely with social media marketing in the cannabis industry. With community management, your goal isn’t to get eyeballs on your latest blog post. It’s to get people to talk about and share that post. Forget about marketing, focus on enhancing your social media to make it more interactive and engaging for your audience. Pairing social media marketing with community management allows cannabis companies to foster an online community that communicates, engages and converts. When managed correctly, strategic community management acts as a PR campaign that helps your company to build relationships with your audience. If you want your audience to become an engaged community, you’ll need to try sharing different types of posts to encourage people to talk with you and with each other. Here are ten great ways to do that. Running a social media audit will help you determine where your efforts on social media are best spent. They provide essential analytical data and KPIs that are important for figuring out how best to talk to your audience. Sprout Social offers an excellent template for performing a social media audit. Use this analytical data as concrete evidence that demonstrates which types of posts are useful and which ones aren’t. Community management isn’t possible if you don’t know what you want to accomplish by having a community. Take an in-depth look at your business goals and mission statement. Make sure these are always held at the center of everything you share so that your messages correlate with the members of your audience. Campaigns with a cause or core value that your audience finds important enough to get behind are extremely powerful. They encourage and stimulate the community, and in many cases hashtag campaigns turn into physical events. In the cannabis industry, many communities discuss marijuana legalization and make donations to support that cause. The audience of cannabis users finds this cause important, and love to talk about it. Find something worthy and make it exciting! Every blog, social media post, article share, or comment and response absolutely must be useful for your community. Your content should offer understanding from the customer or patient’s perspective and should either delight, entertain, or inform. If you’re having trouble making sure your content is useful enough (and not content that’s been published and re-written 100 times), it may be time to look into a social media professional. It’s crucial that your cannabis brand is active across many social outlets and in personal interactions. Your community should be all-inclusive to encourage growth within the community. Remember, people won’t engage if they feel like there’s no point in doing so. You usually feel disconnected from brands online until they make you feel heard. Make sure your posts connect with your audience by sharing information that resonates with their interests and enhances that feeling of connection. 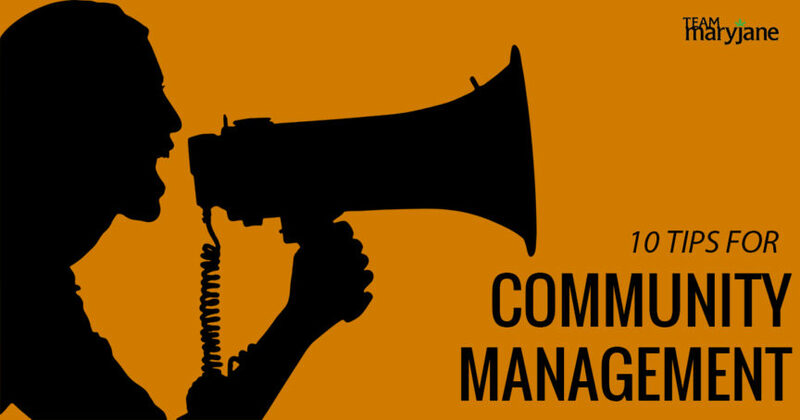 Community management involves interaction from the community manager and the audience. You can’t hope to encourage more engagements if you don’t respond to the people who are engaging. Socializing is a 2-way street! People love to talk about their opinions, which is why asking for opinions is one of the most potent ways to encourage engagement. Present your audience with a relevant controversial article and solicit opinions to create an engaged audience. By managing social media for your cannabis brand, you can represent your company while also connecting to the needs of your audience. That being said, this isn’t a sales gig! If everything you say feels artificial or stifled, the community will respond the same way or not at all. Take care to listen to people, evaluate their way of life and respond like a human. Images are included in marketing because of their ability to elicit an emotional response in people. If you’re using images, be sure to avoid images that send mixed messages about your company’s values. For example, if your company stands behind cannabis as a medicine, it wouldn’t make sense to share memes about getting high and being stupid. Social Media is always changing and is never a one-and-done tactic. By utilizing these tips to help you improve your community, you can expect to see more sales, better relationships with your customer base, and a better reputation. You can also expect to see a larger, more engaged audience and a larger fanbase. 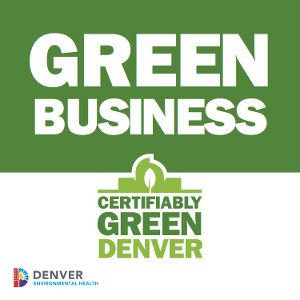 As the top cannabis marketing firm in Denver, the cannabis marketing professionals at Team Maryjane still bring it when it comes to creating running and maintaining effective content marketing and social media strategies. Shoot us a chat or give us a call today to get started on your very own audience of hungry readers, or just subscribe to our cannabis marketing blog for more tips.